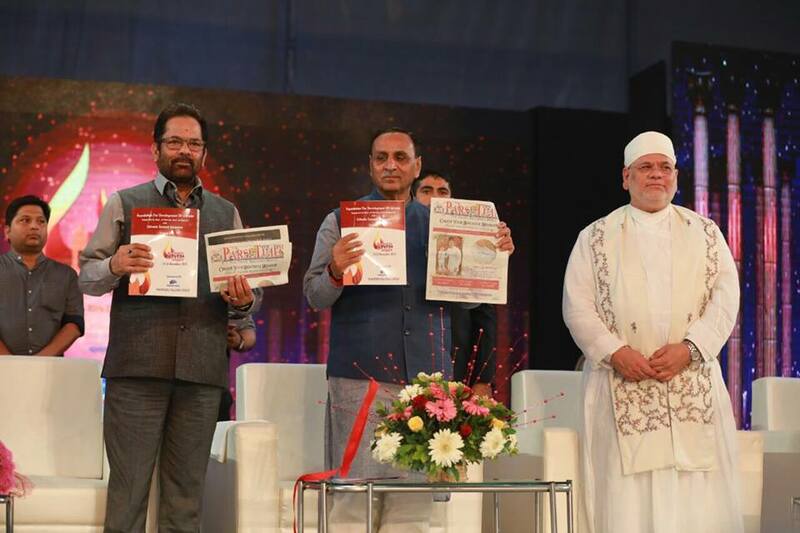 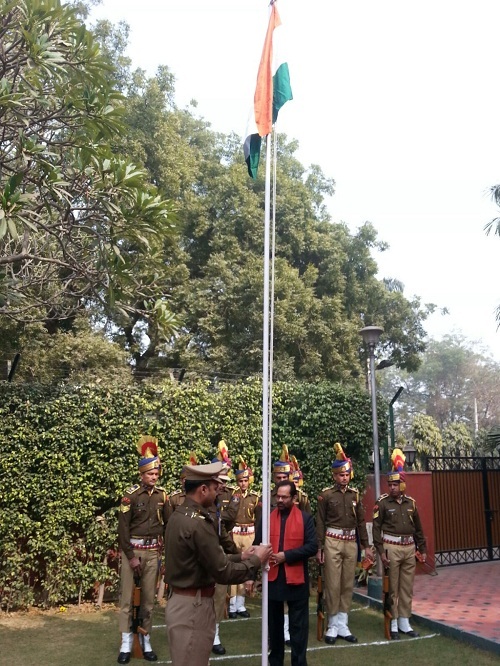 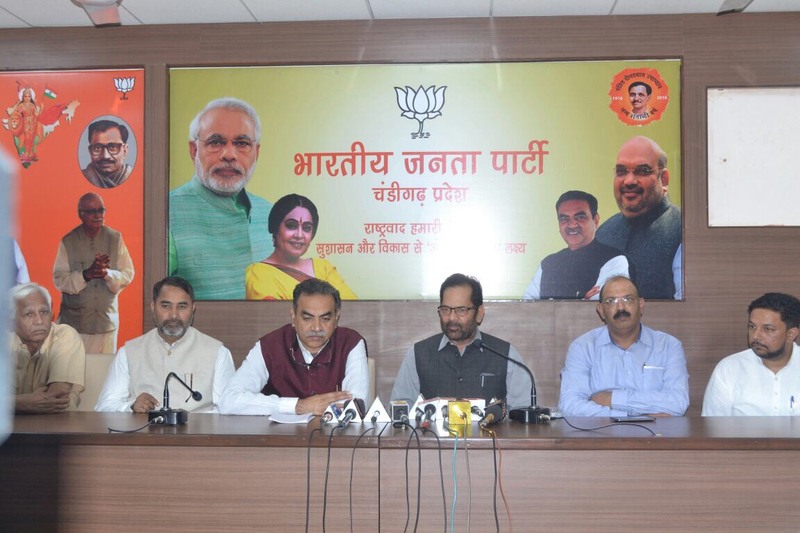 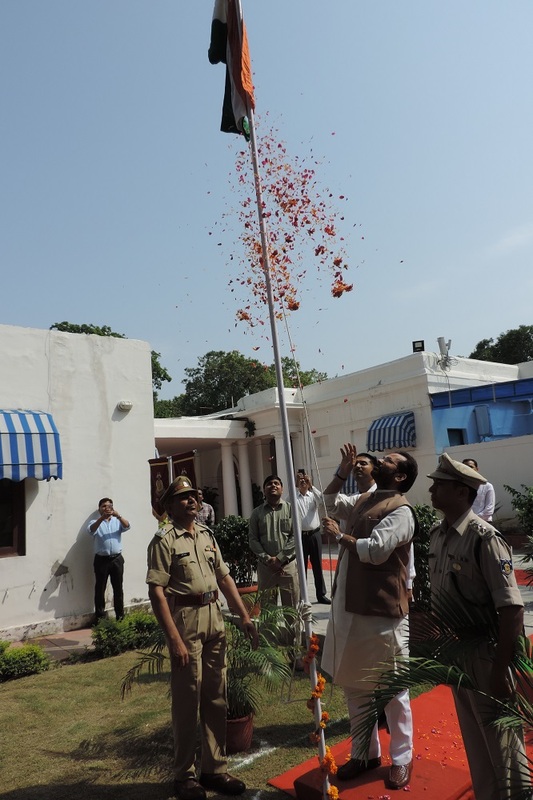 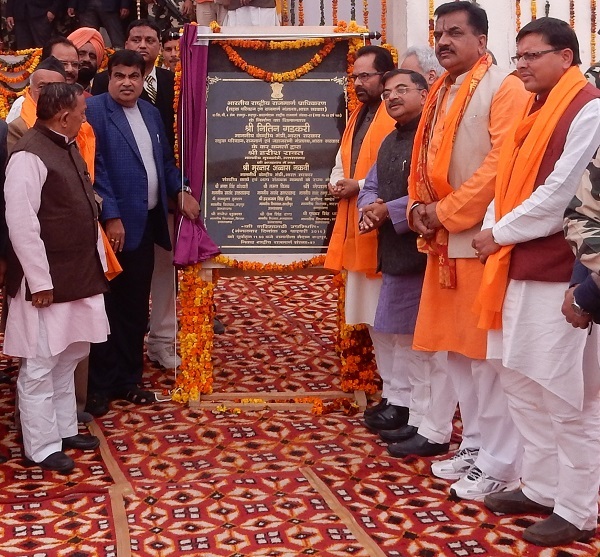 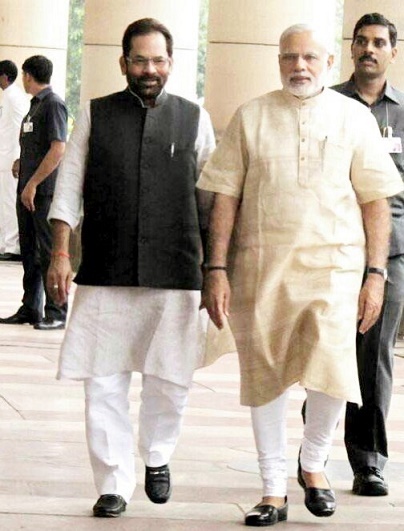 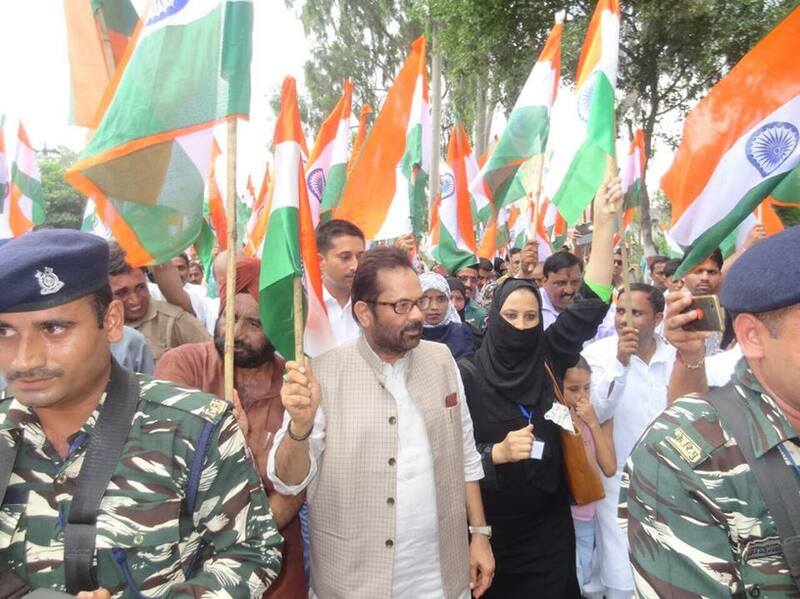 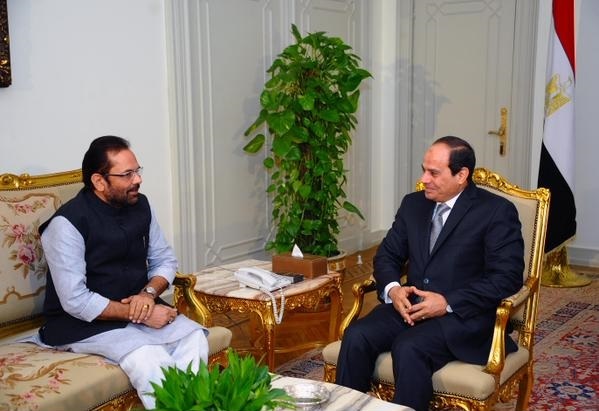 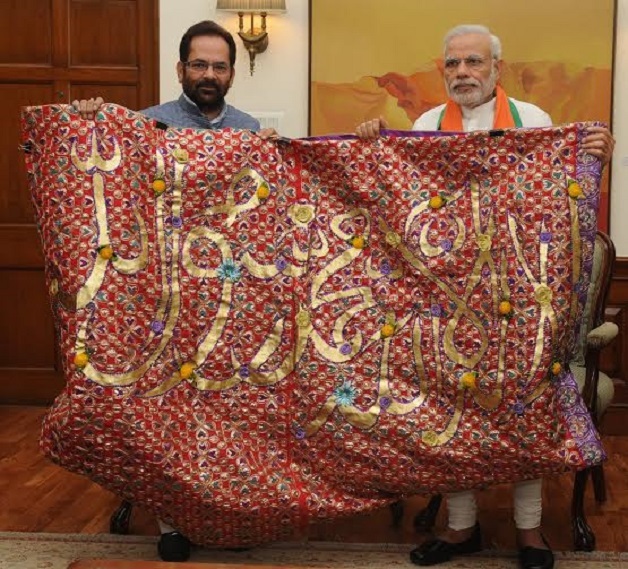 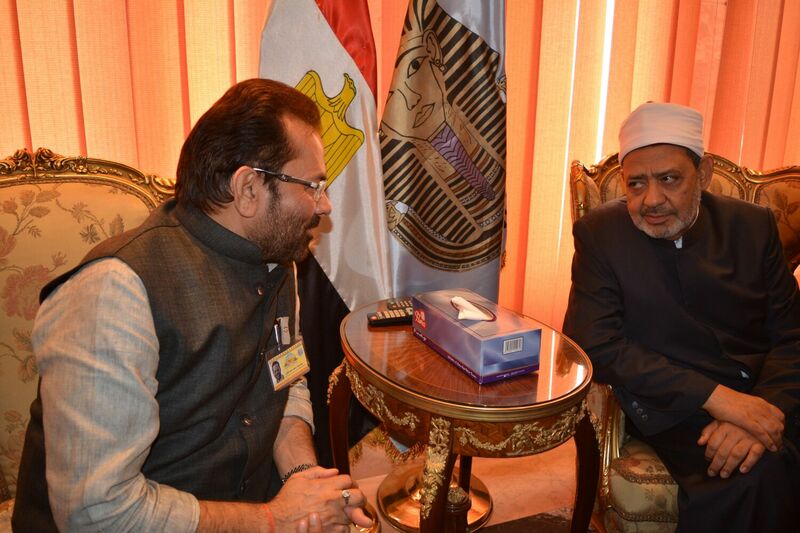 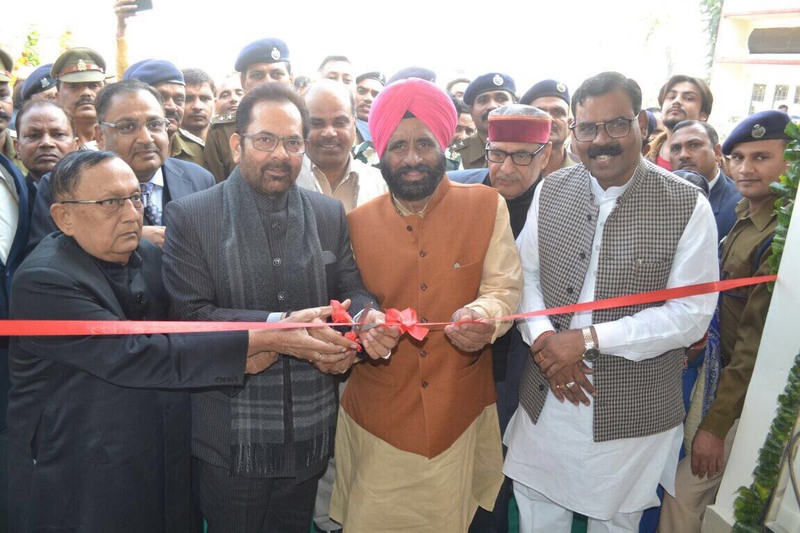 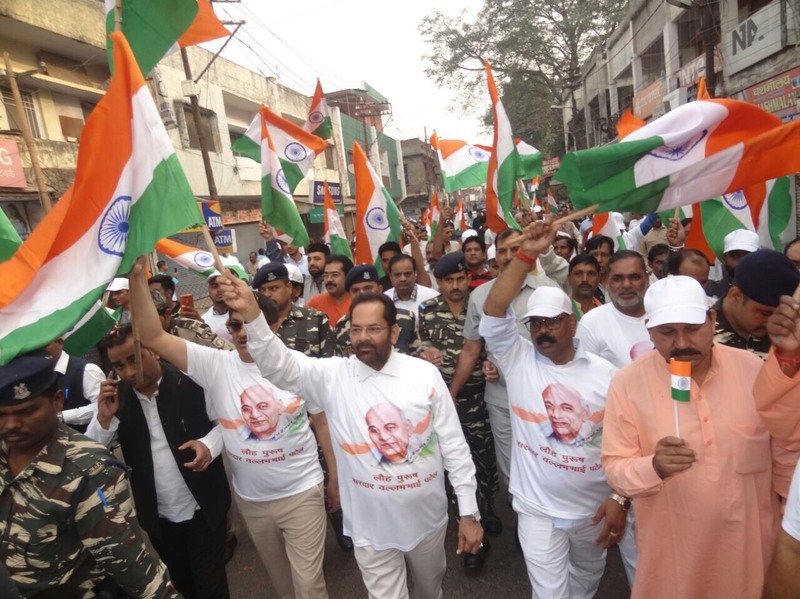 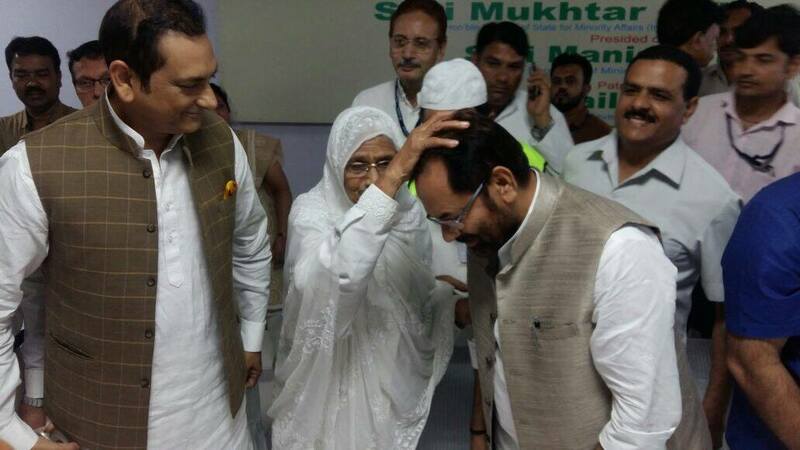 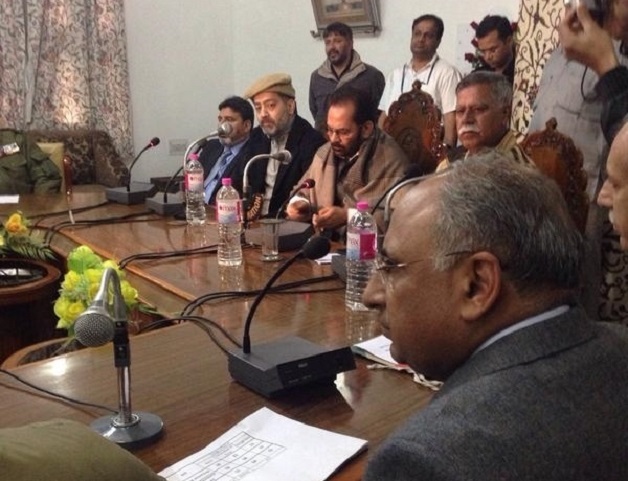 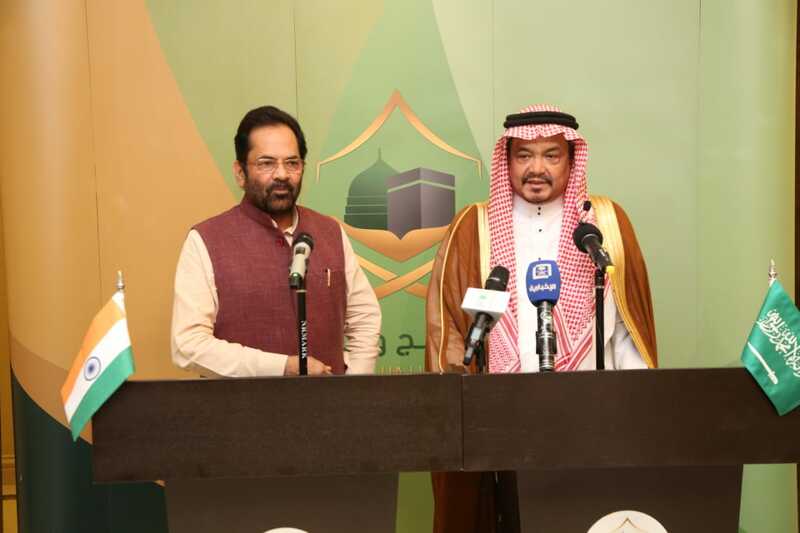 Union Minister of State for Minority Affairs (Independent Charge) and Parliamentary Affairs Shri Mukhtar Abbas Naqvi today said here that the Modi Government, in its three years, has cleared the way for progress and prosperity of Muslims by demolishing “speed breaker” of “appeasement politics”. 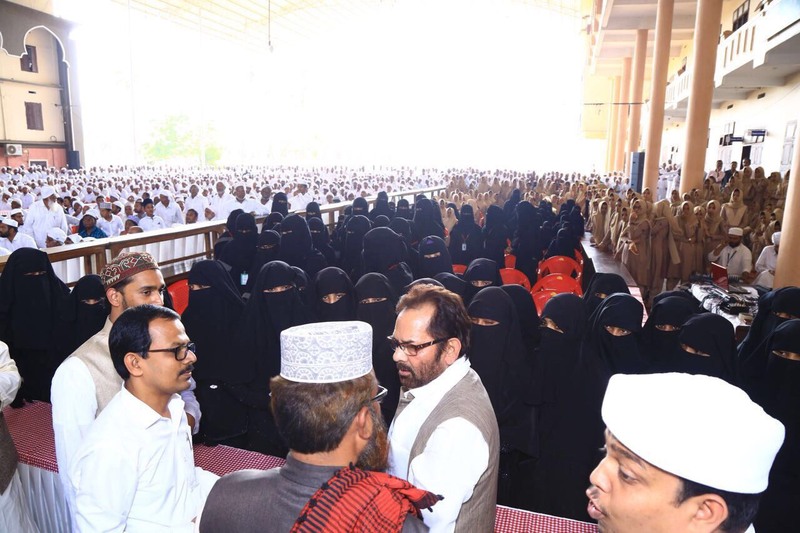 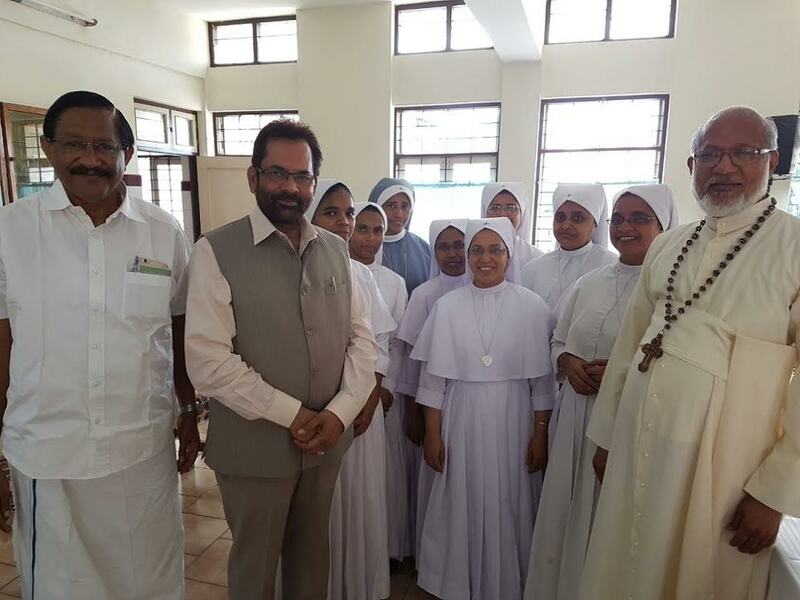 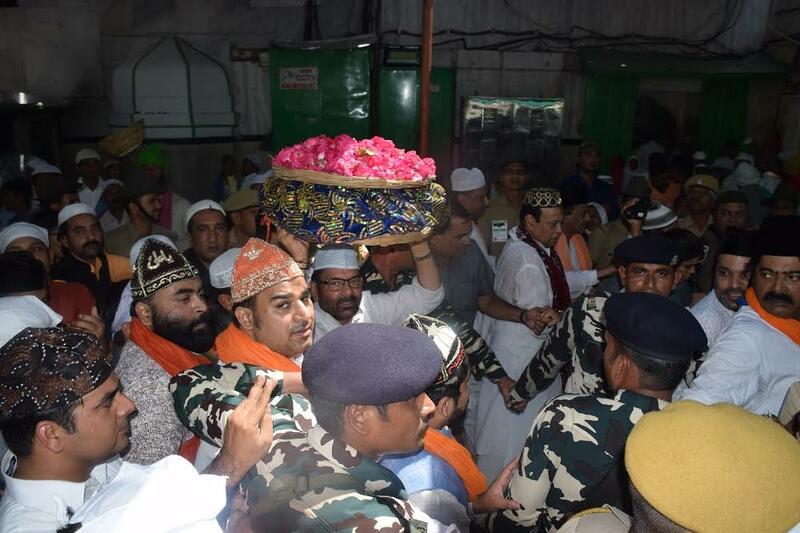 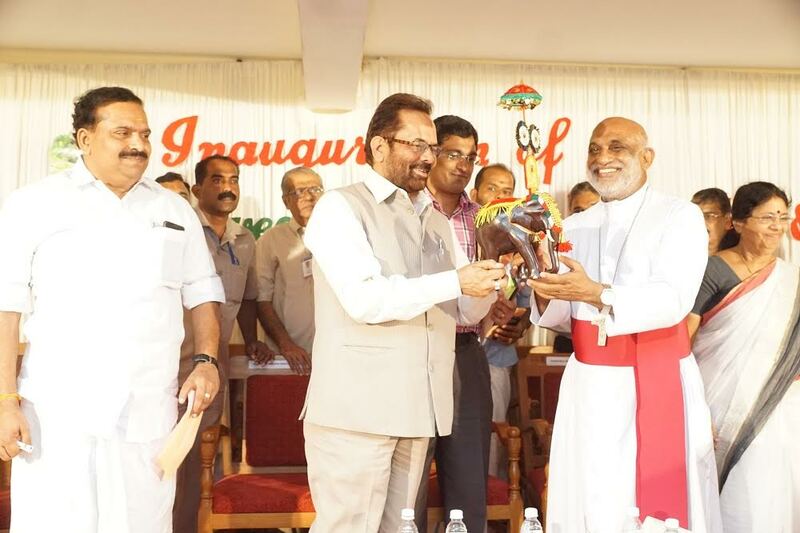 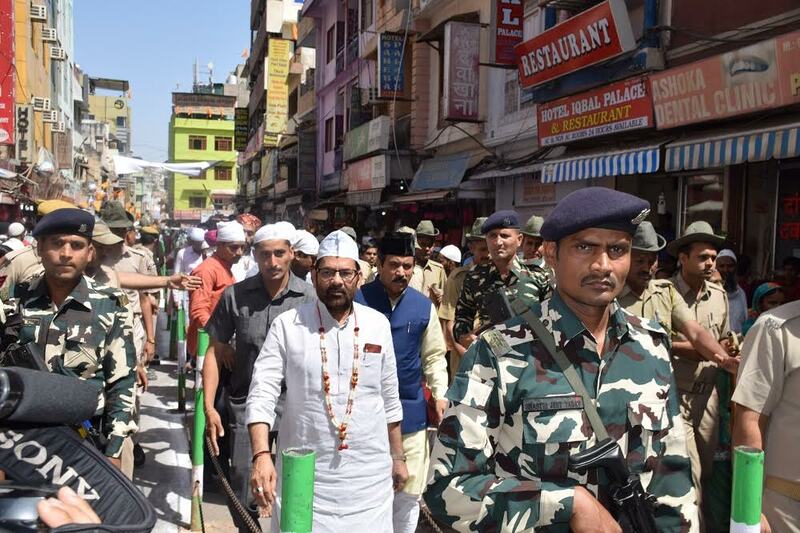 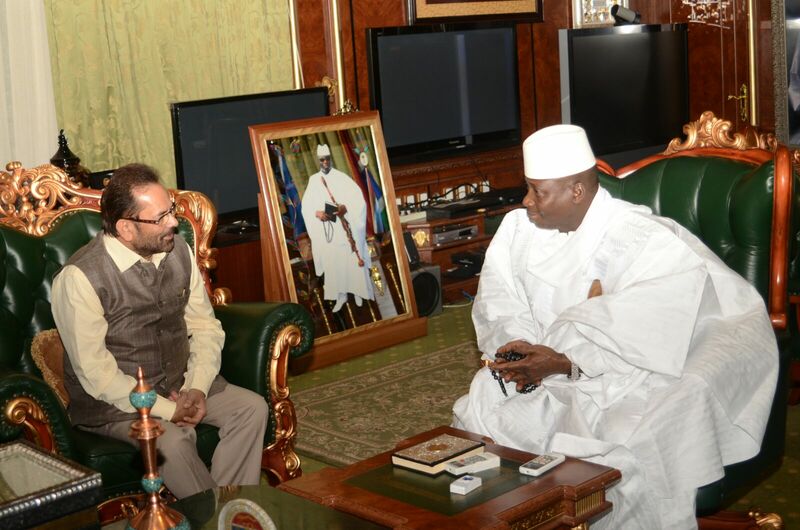 Shri Naqvi said that for the last several decades, “so-called political champions of secularism” were doing “politics of appeasement” ignoring the empowerment of Muslims. 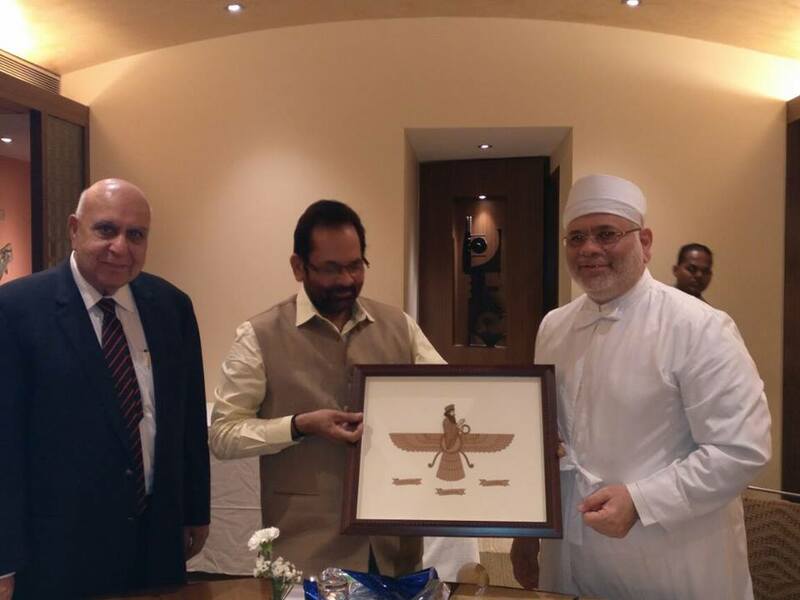 During a coordination meeting between Union Minority Affairs Ministry and Maharashtra Minority Development Ministry at Mumbai, Shri Naqvi said that appeasement politics due to “narrow self-interests” was the biggest enemy of “inclusive growth” of the Minorities. 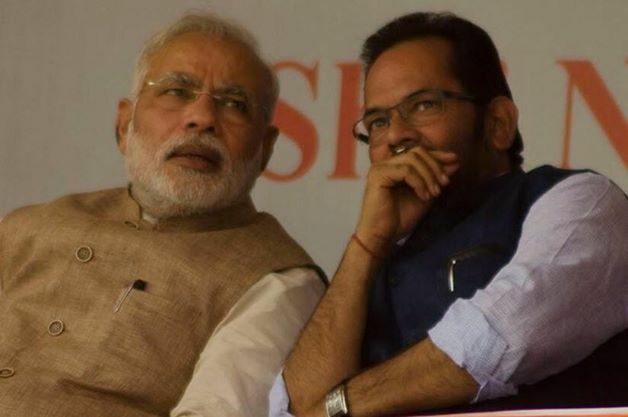 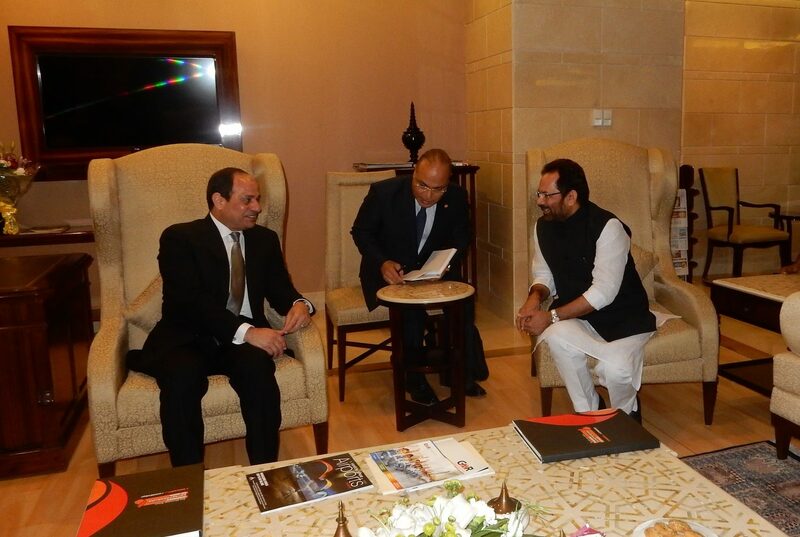 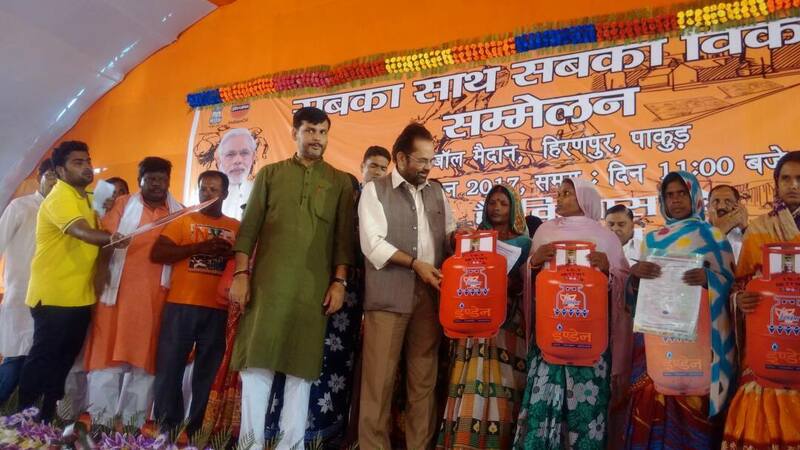 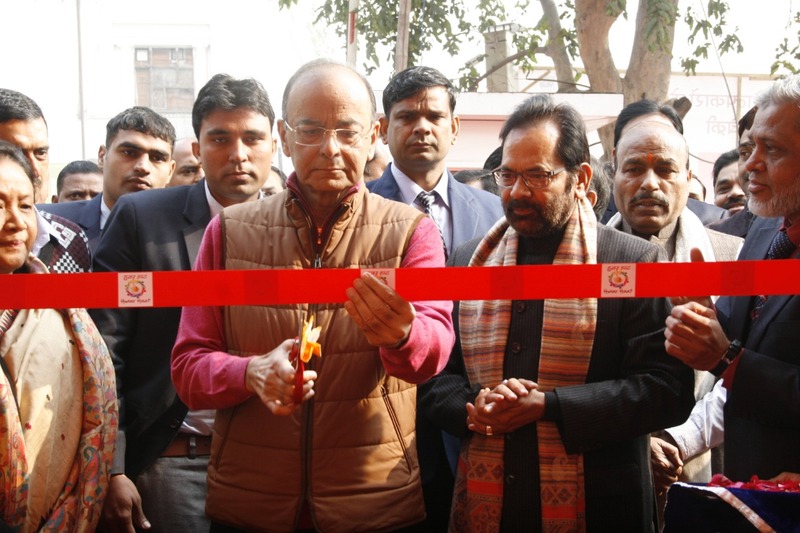 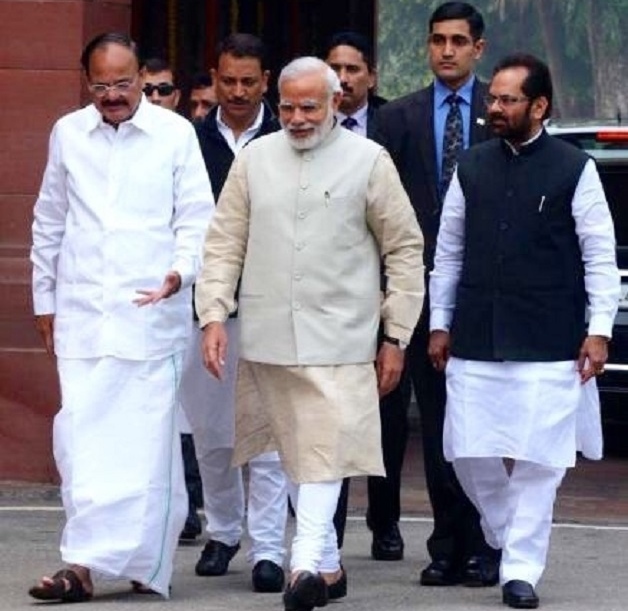 Shri Naqvi said that the Centre’s Modi Government, during its last three years, has created an atmosphere of trust and development among all sections of the society by adopting “empowerment without appeasement”. 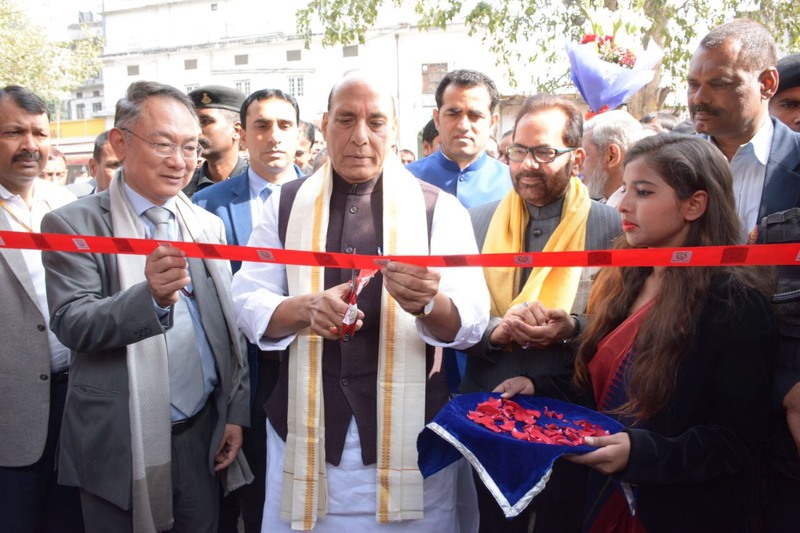 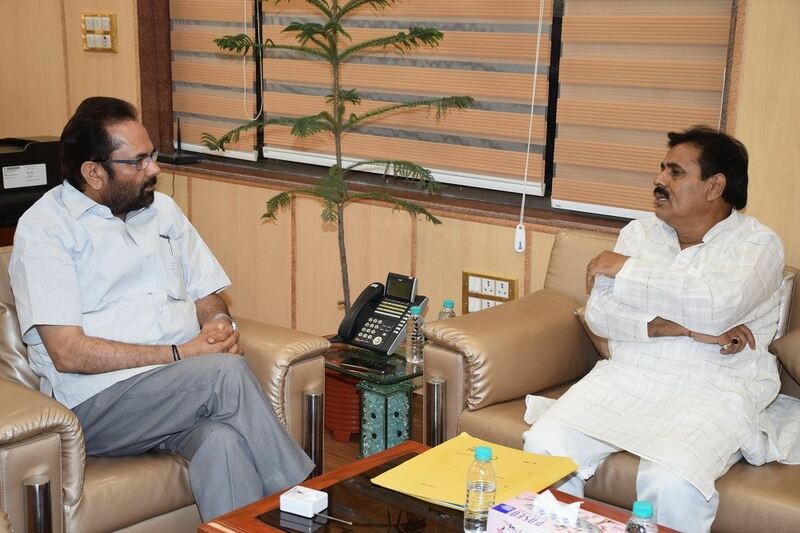 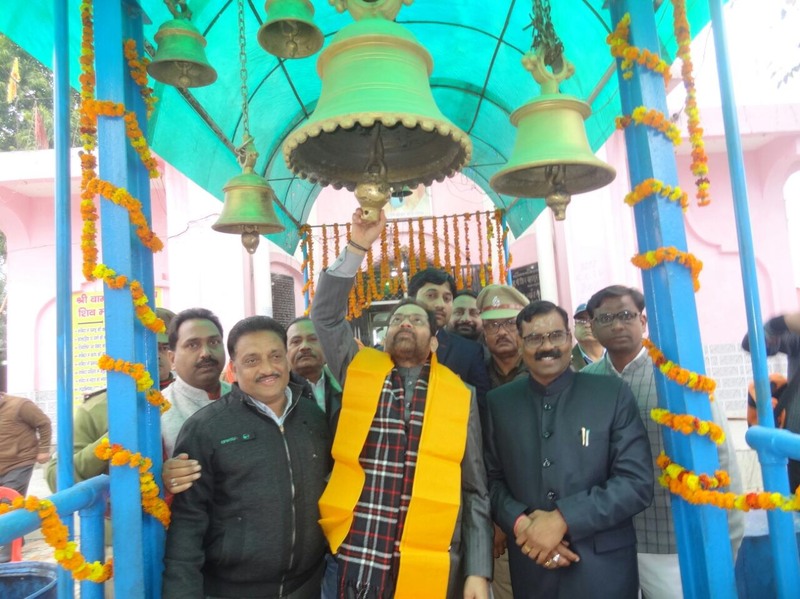 Shri Naqvi said that the Ministry of Minority Affairs, during the last three years, has provided benefits of schemes/programmes related to better education, skill development and providing employment to every needy person. 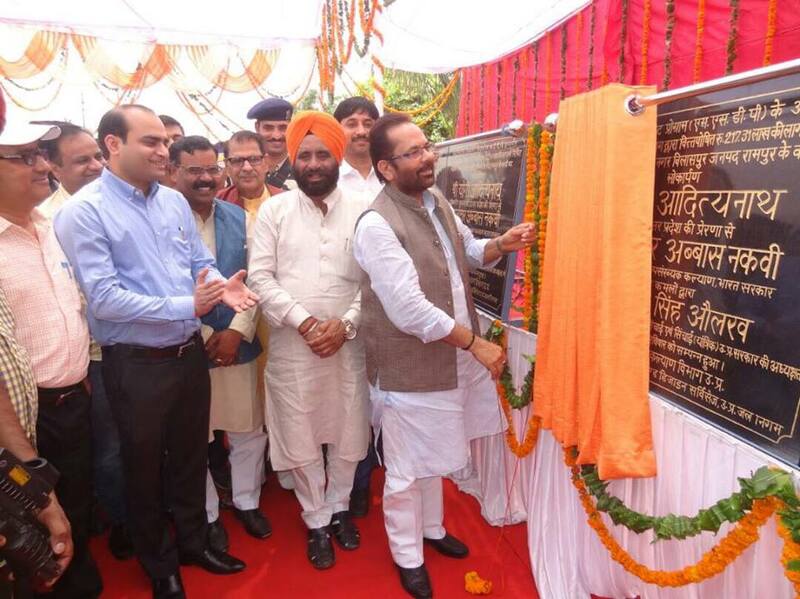 Shri Naqvi said that we have made the Minorities a part of mainstream development through “3E- Education, Employment, Empowerment”. 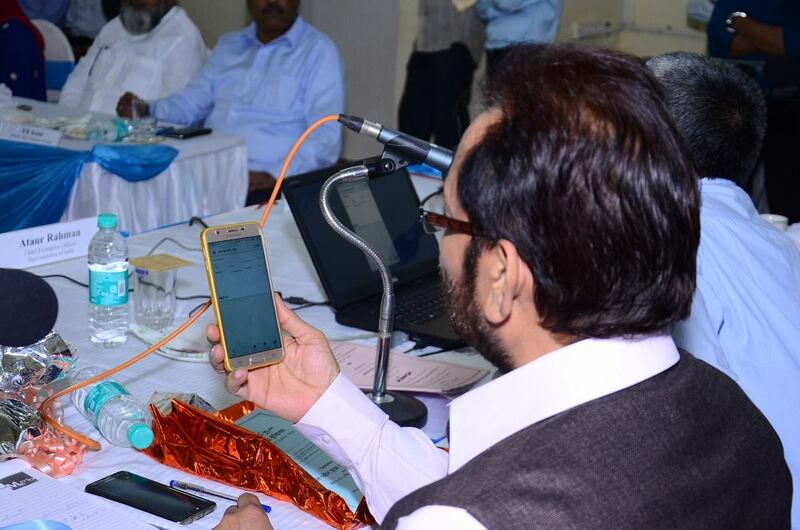 Shri Naqvi said that year 2017-18 will be celebrate as year of “Tahreeke Taleem”, a campaign for education. 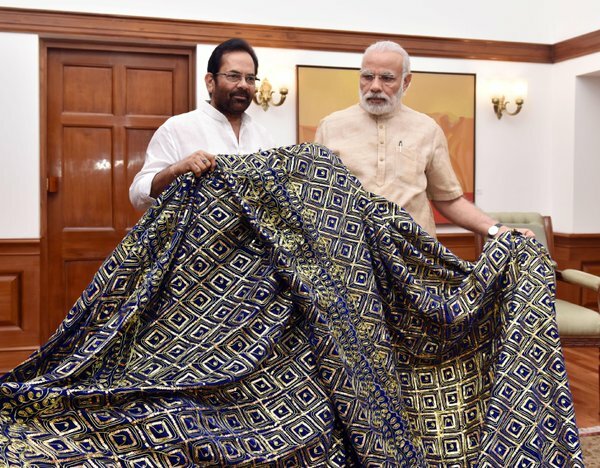 It will be launched on 15 October, the birthday of former President Dr APJ Abdul Kalam. 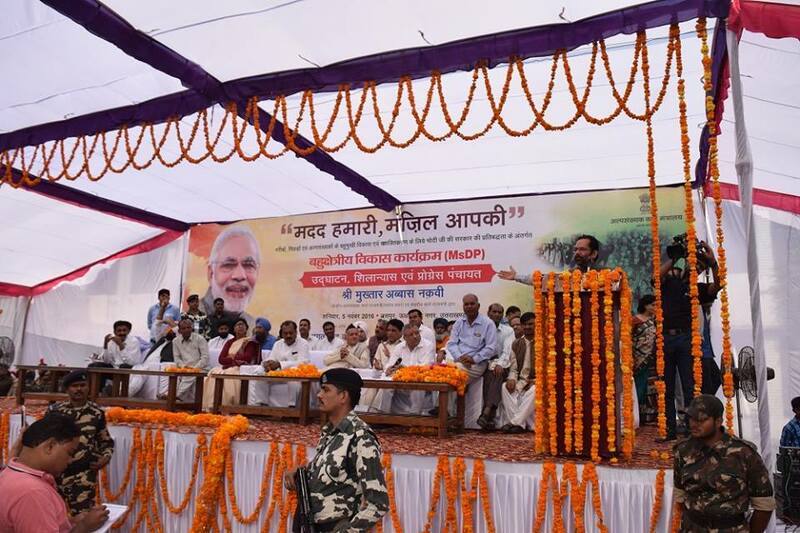 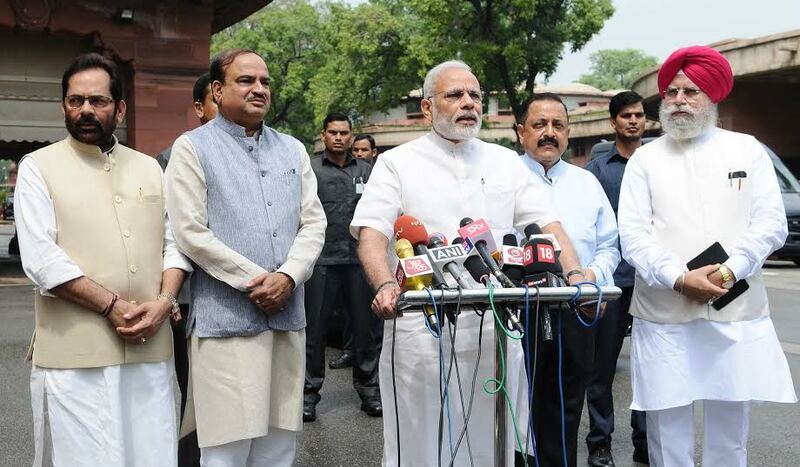 It will be started from 100 districts across the country. 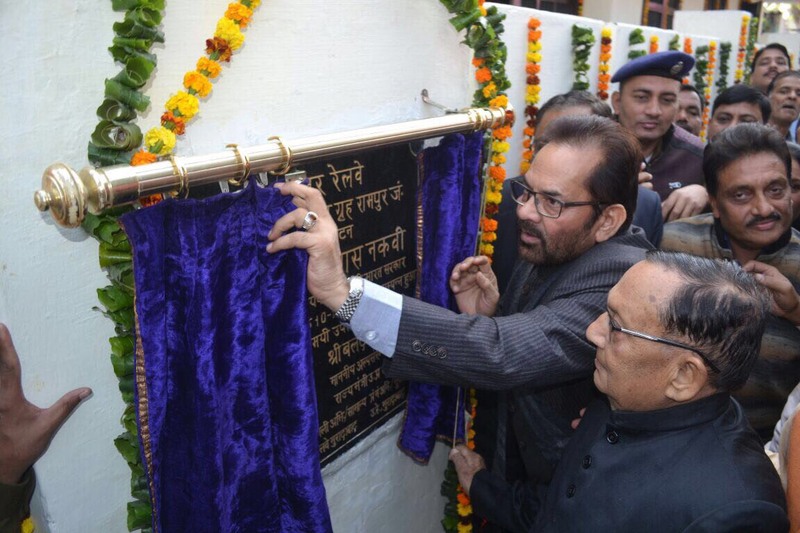 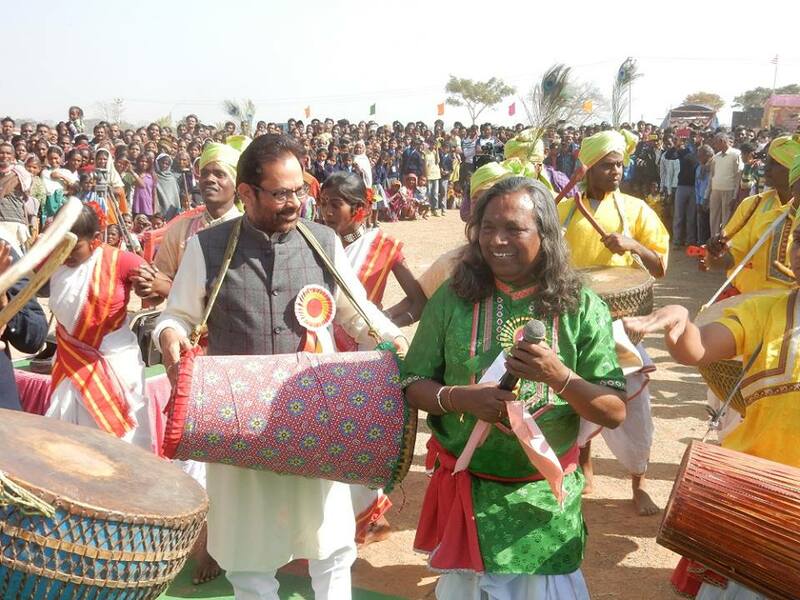 Shri Naqvi said that on the occasion of centenary year of Pt Deen Dayal Upadhyay, we will organise “Usttad Samman Samagam” to honour master artisans belonging to Minority communities. 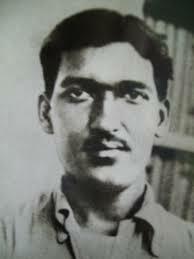 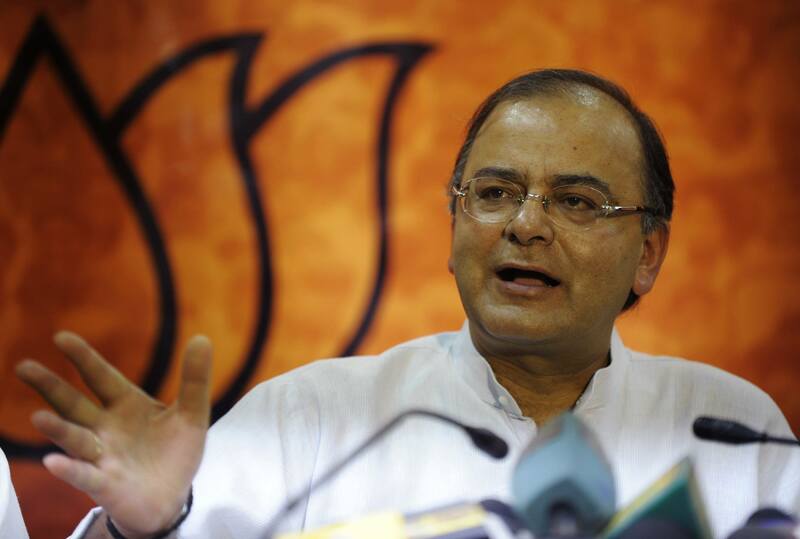 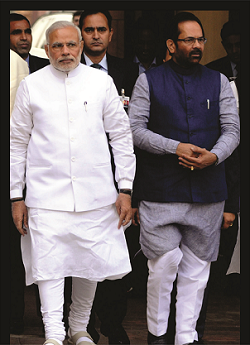 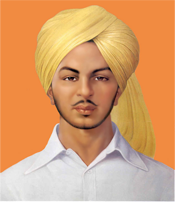 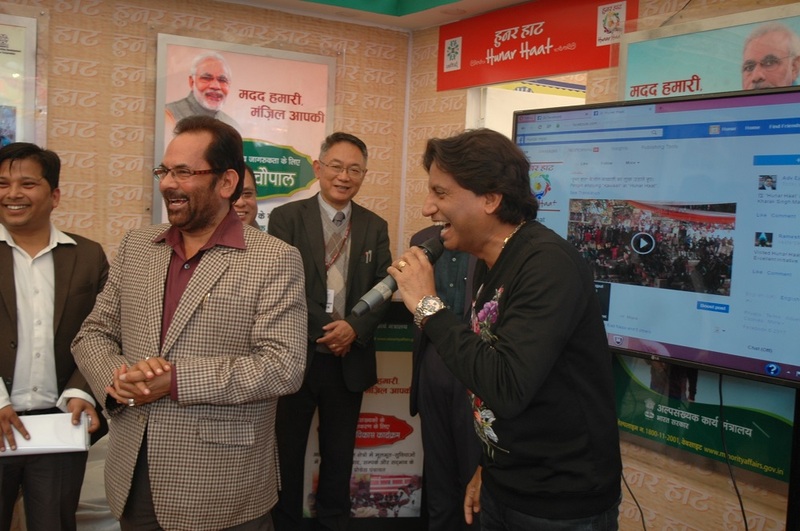 The event will be held in various places of the country including Mumbai. 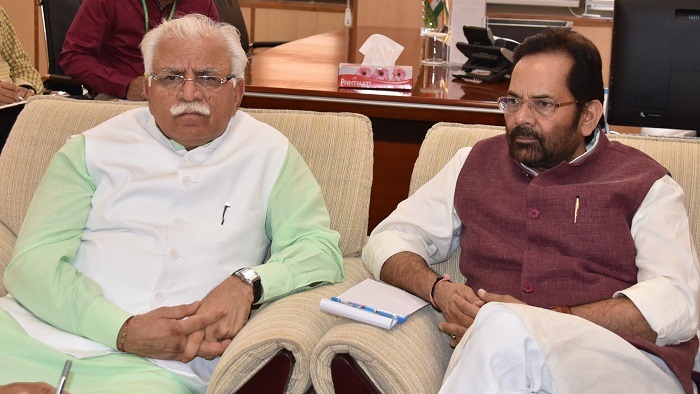 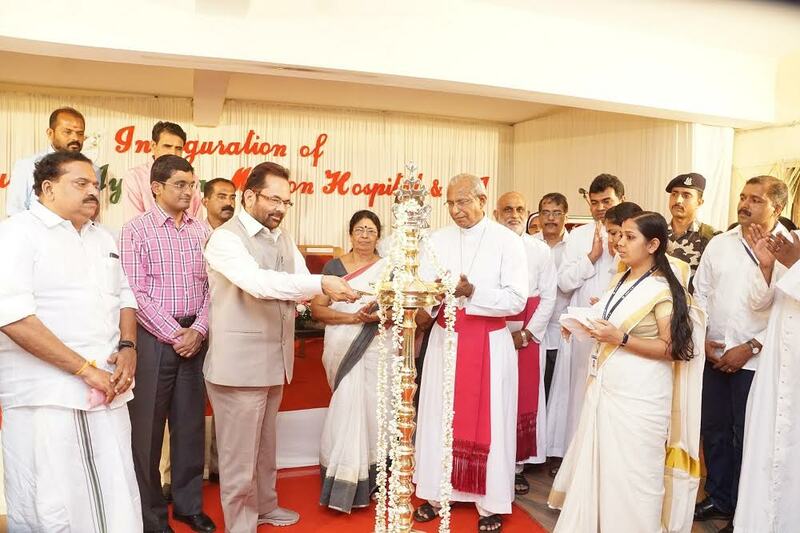 Shri Naqvi said that better coordination-communication between the Centre and the states has helped in implementing various welfare schemes successfully. 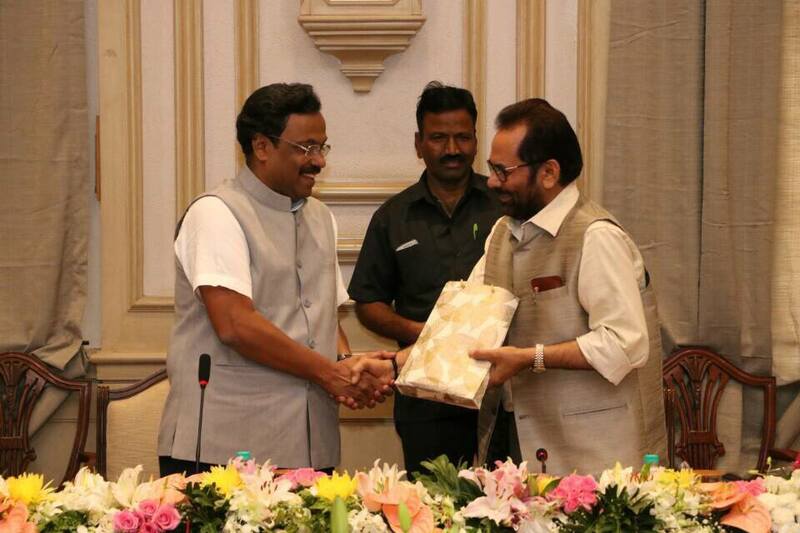 Shri Naqvi held a meeting with Maharashtra Minority Development Minister Shri Vinod Shridhar Tawde. 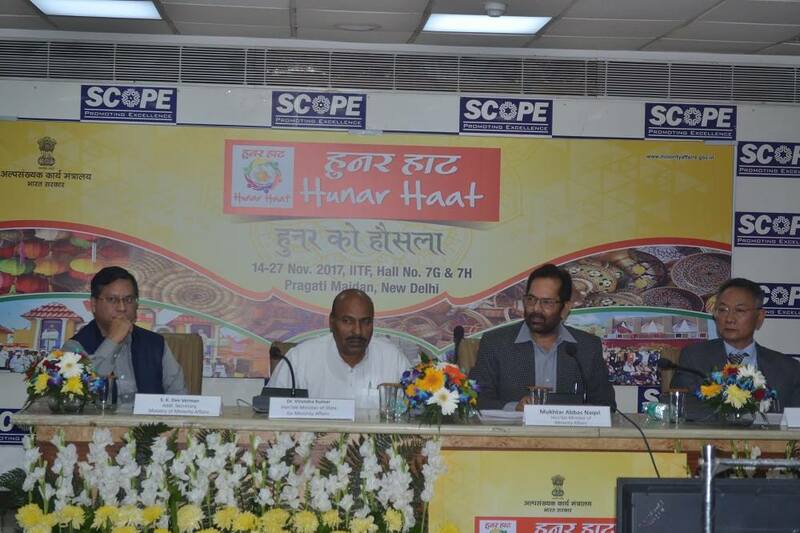 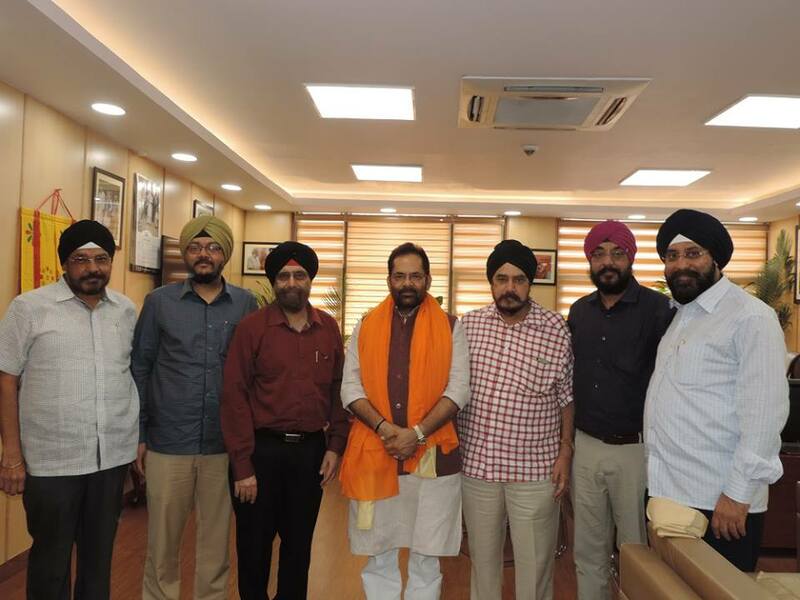 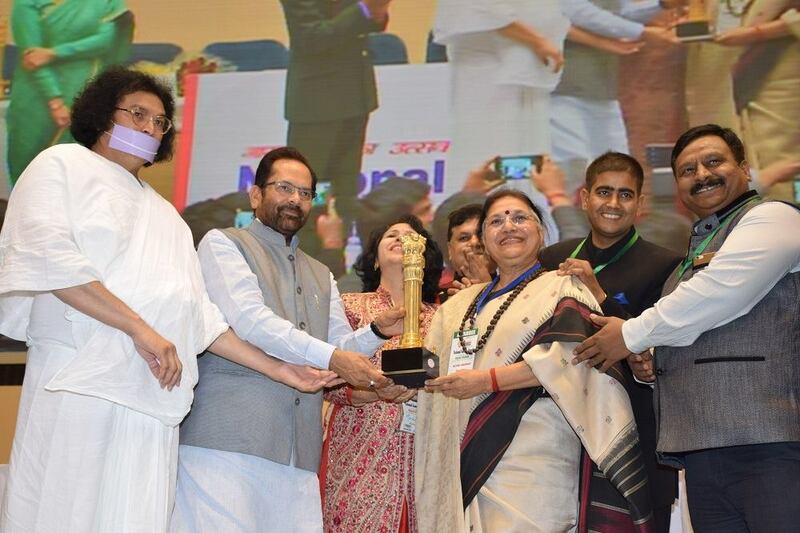 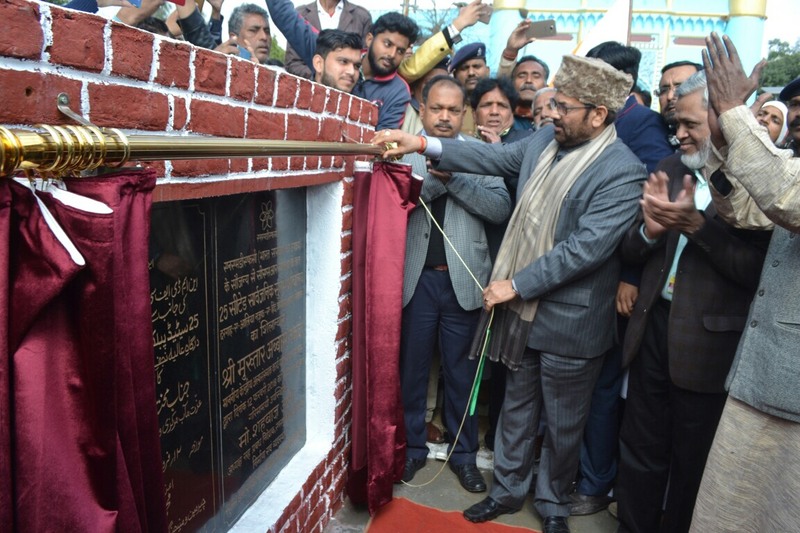 Shri Naqvi said that the states have a crucial role to play in effective implementation of schemes aimed at socio-economic-educational empowerment of Minority communities. 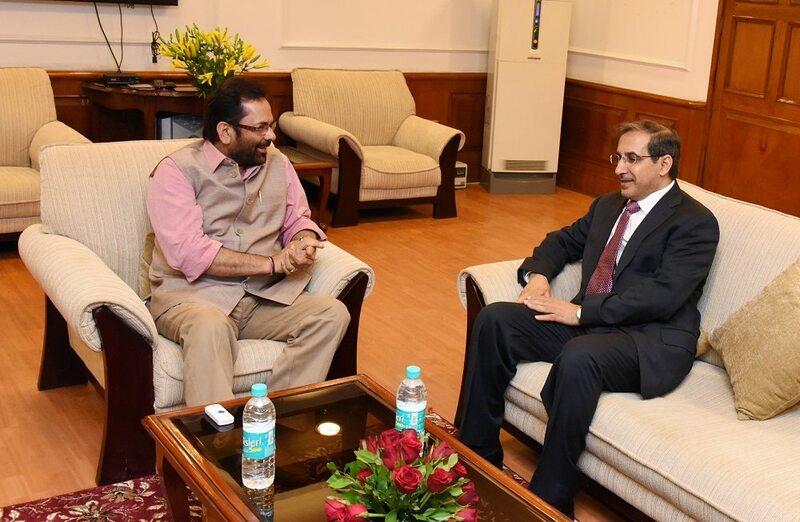 Senior officials of the Union Ministry Affairs Ministry and Maharashtra Minority Development Ministry were also present in the meeting. 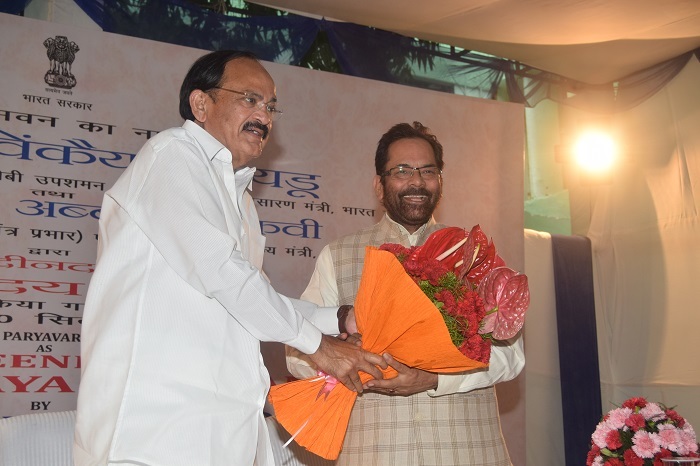 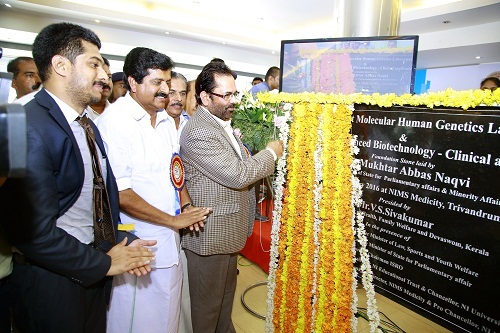 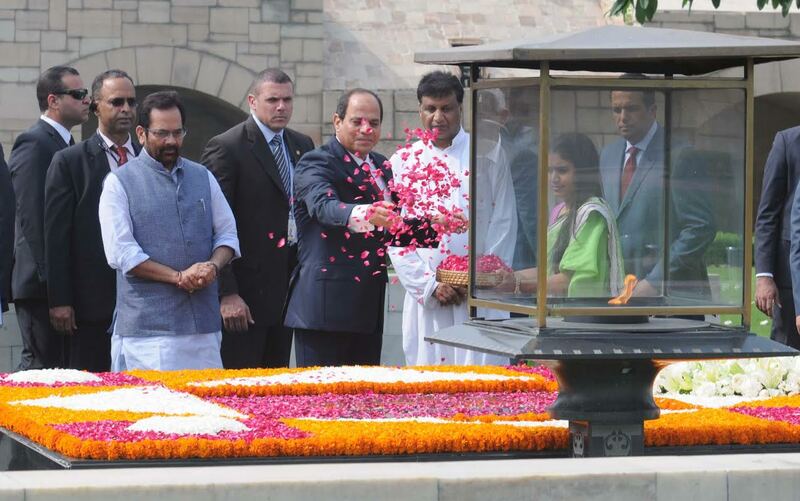 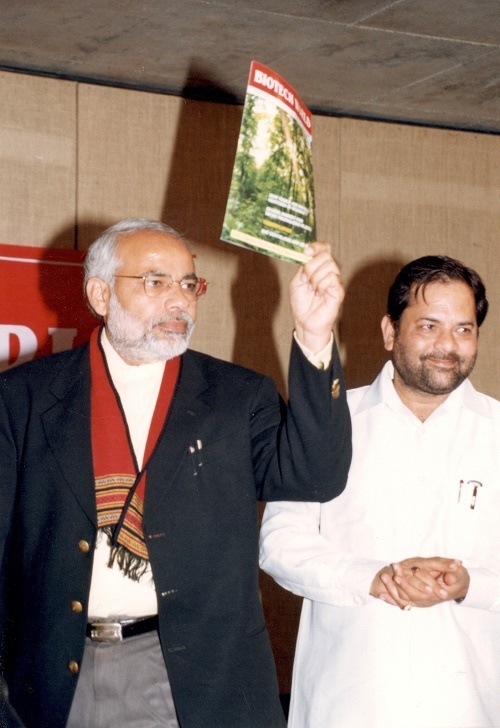 Shri Naqvi said that Maharashtra and some other states have performed very well in implementing Central schemes. 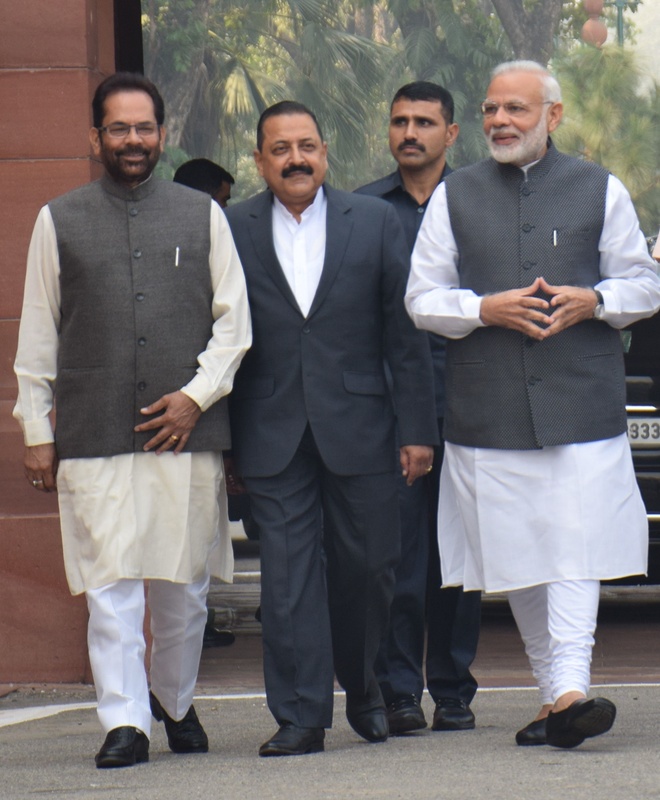 Maharashtra has set an example for other states in better implementation of schemes launched by the Union Ministry of Minority Affairs. 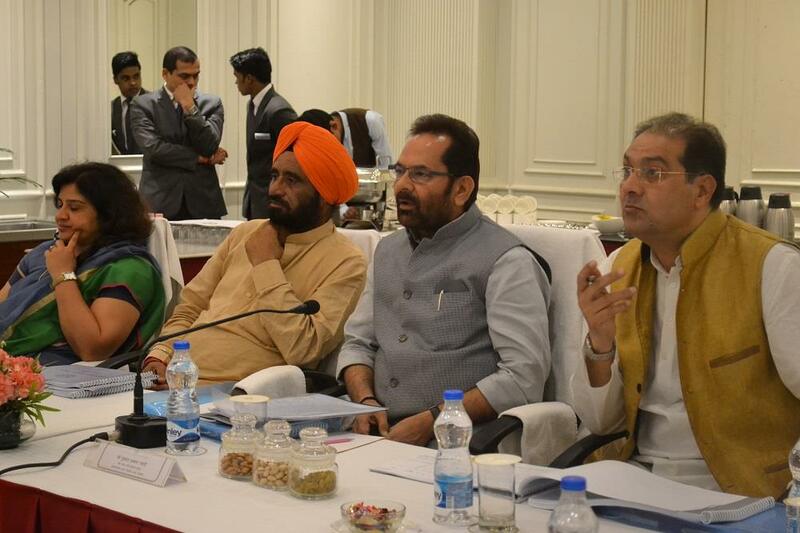 In the meeting, various projects under Multi-sectoral Development Programme (MsDP) like roads, drinking water and sanitation facilities, schools, anganwadi, primary health centres etc. 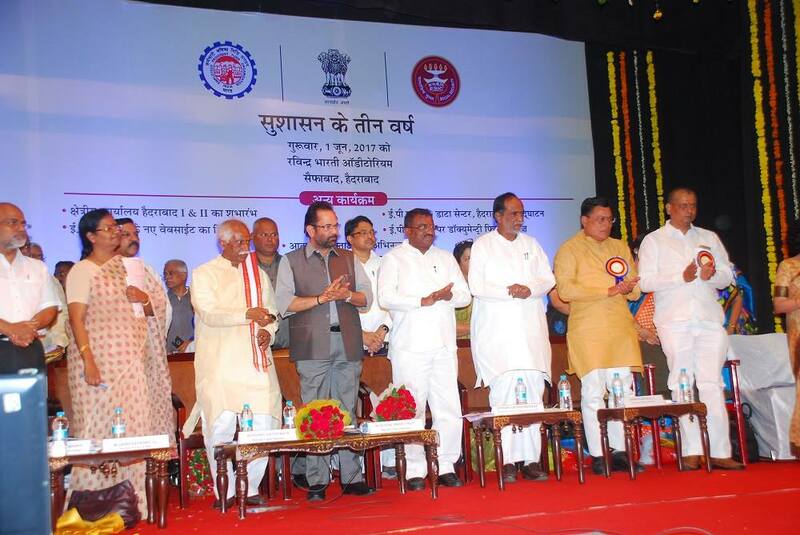 During the 12th Five Year Plan, Maharashtra’s 8 Minority Concentrated Blocks and 6 Minority Concentrated Towns have been selected for development works. 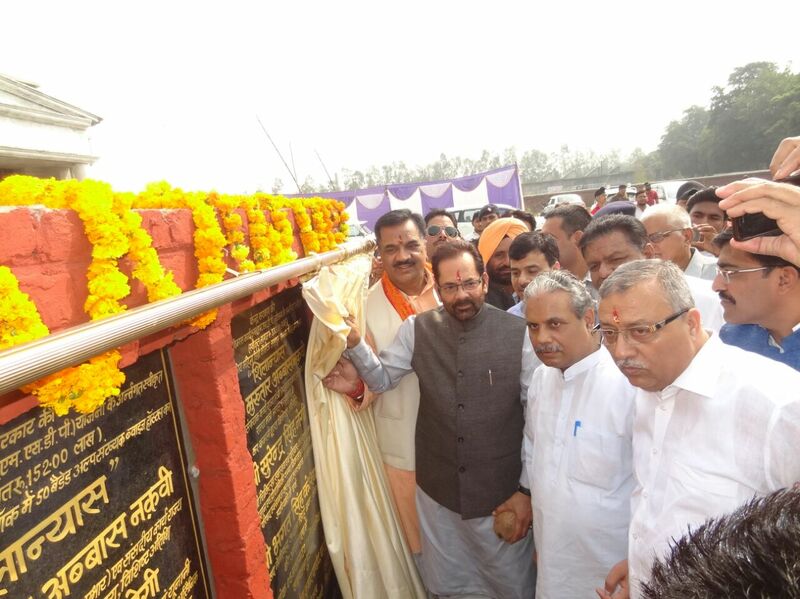 4 school buildings, 383 additional class rooms, 141 drinking water and sanitation facilities, 16 hostels, 2 ITI, 25 health centres, 82 anganwadi have been approved. 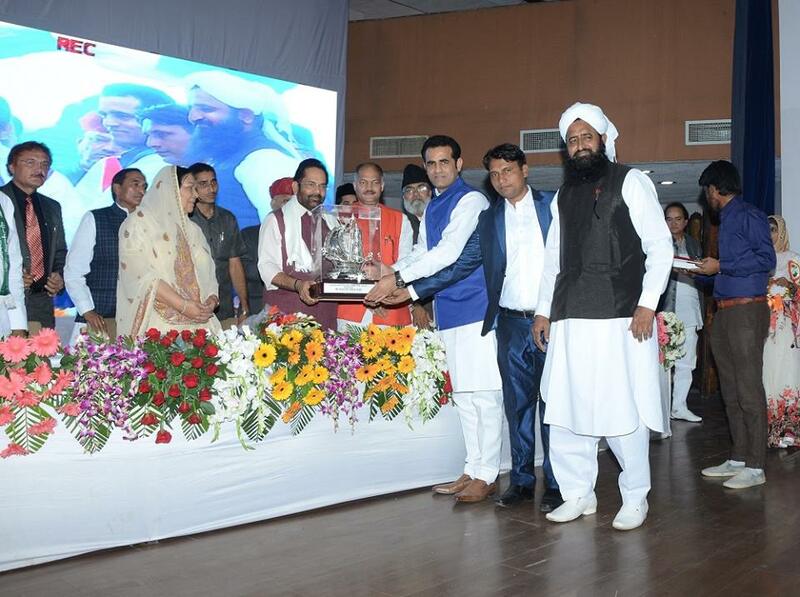 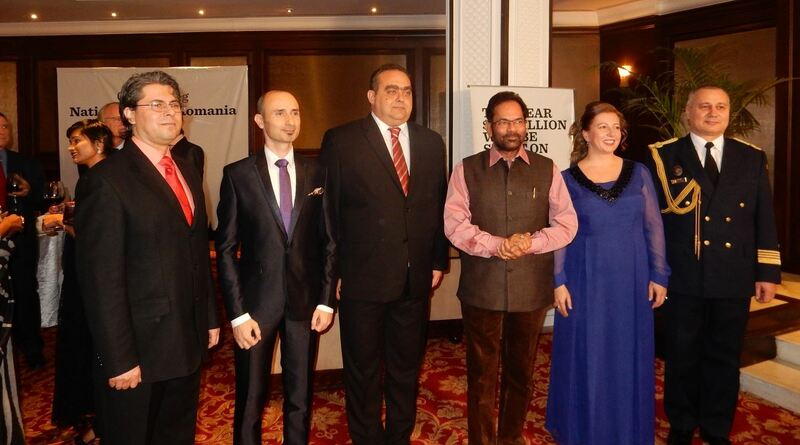 Shri Naqvi said that from 2014-15, scholarships worth Rs 282 crore have been distributed among more than 17 lakh students belonging to Minority communities. 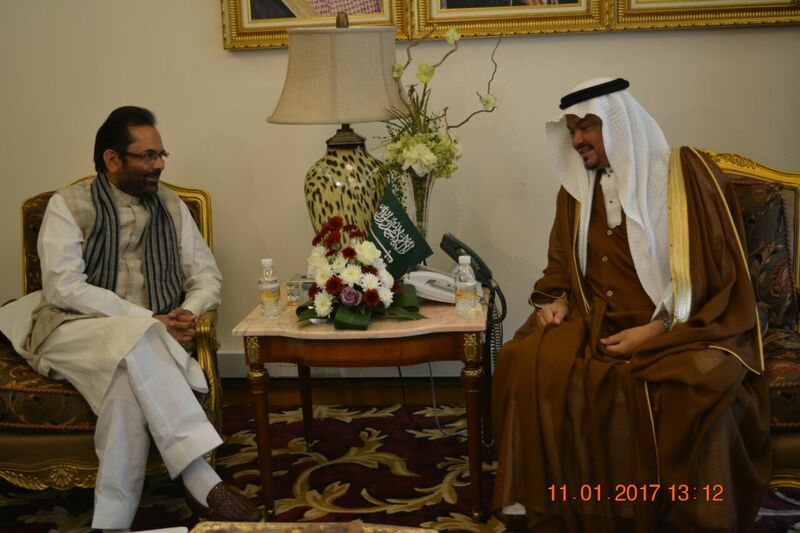 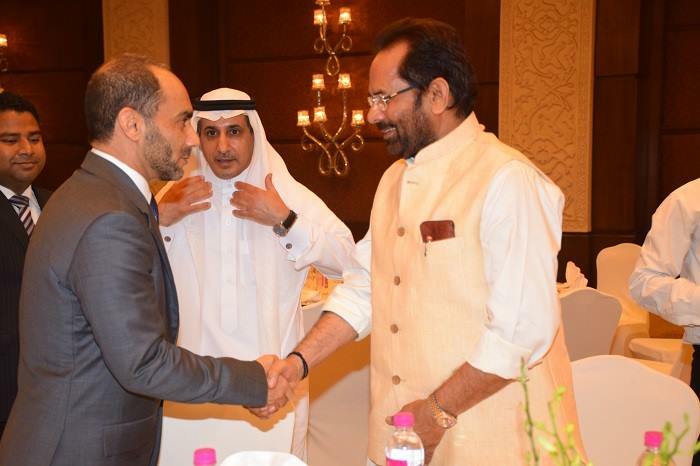 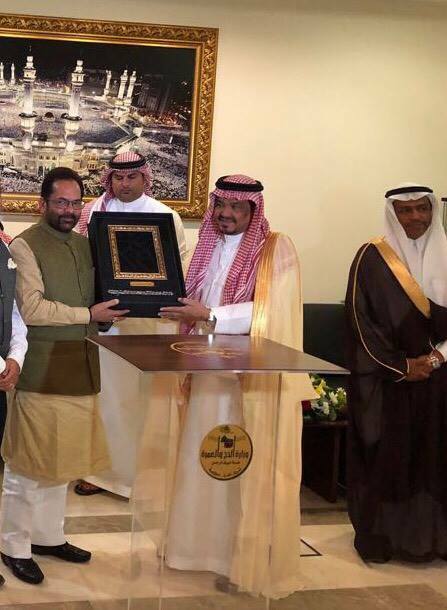 Shri Naqvi said that increase in India’s Haj quota for 2017 by Saudi Arabia Government has benefitted all the states including Maharashtra. 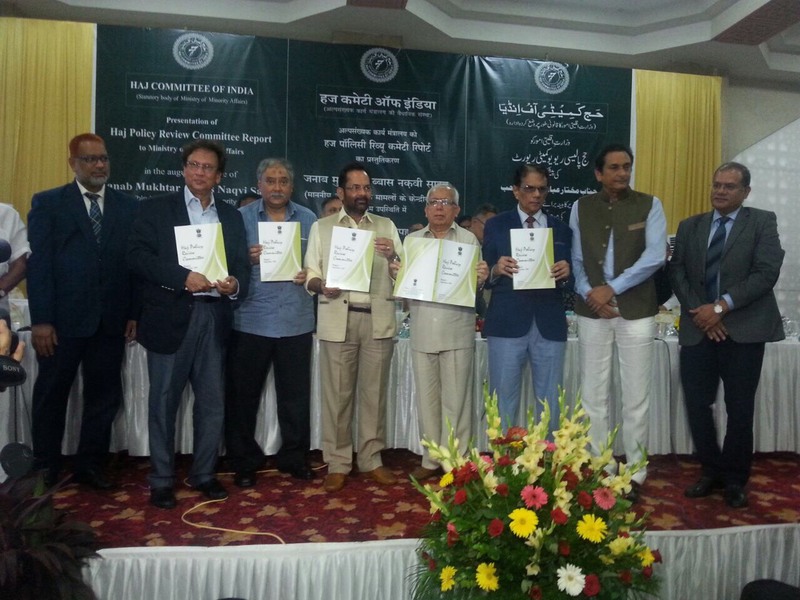 Maharashtra’s Haj quota for 2017 has been increased from 7357 to 9780. 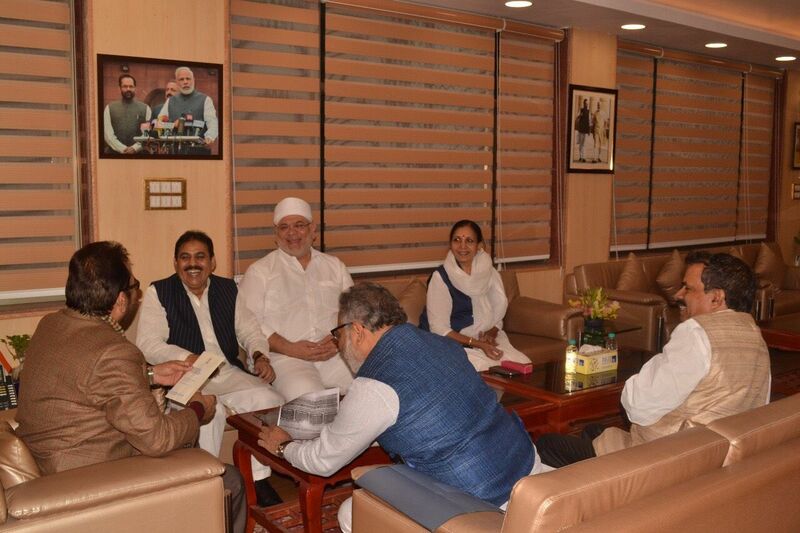 New Haj Policy 2018-22 and reviving option of sending Haj pilgrims through sea route was also discussed in the meeting.